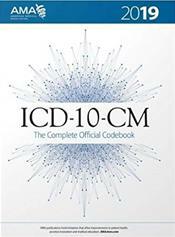 Abstract: ICD-10-CM 2019: The Complete Official Codebook provides the entire updated code set for diagnostic coding, organized to make the challenge of accurate coding easier. This codebook is the cornerstone for establishing medical necessity, determining coverage and ensuring appropriate reimbursement. Each of the 21 chapters in the Tabular List of Diseases and Injuries is organized to provide quick and simple navigation to facilitate accurate coding. 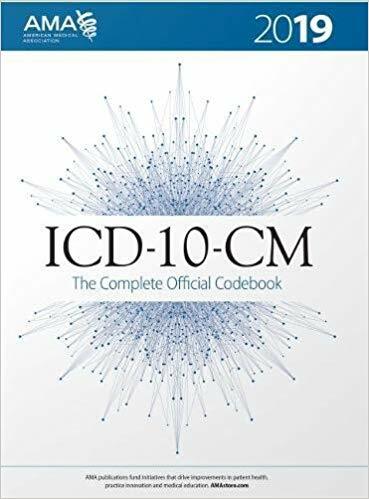 The book also contains supplementary appendixes including a coding tutorial, pharmacology listings, a list of valid three-character codes and additional information on Z-codes for long-term drug use and Z-codes that can only be used as a principal diagnosis. Full list of code changes. QPP symbol in the tabular section. The addition of more than 100 coding tips. The addition of more than 300 new definitions in the tabular listing.